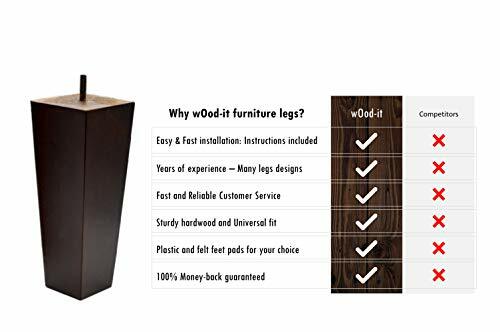 wOod-it has launched the NEW superior quality 4 legs set. 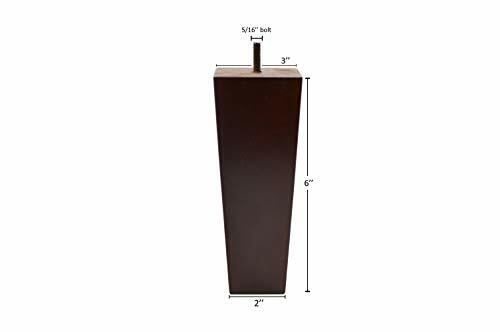 These dark brown color legs will be the perfect complement to your bed, coffee table, couch or sofa. 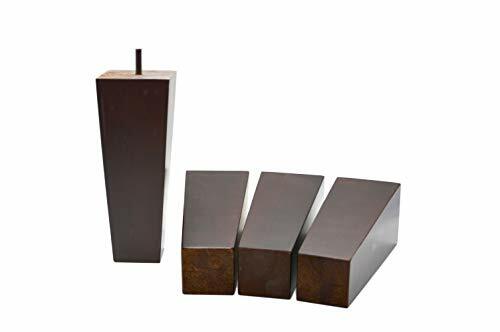 These legs are manufactured one by one, with wood from Hevea tree. Please note that wood by nature may present variations in color, texture and grain pattern. As a result, each couch leg may differ slightly from the photograph shown above. All legs are same size, 8" height, top diameter is 3" and bottom diameter 2", giving a svelte and solid impression. The hanger bolt is 5/16", 0.8 in long, most common Made in US furniture's bolt thread. Compatible with metric M8, many of the IKEA furniture designs. Have your sofa legs any imperfection? Do you need to increase the height of your couch? Are you a Home Improvement show fan and need to restore any furniture? Does your robotic vacuum need more space to clean under the couch? Do you want to give a new look to your table/cabinet? Do you simply want to be cool? Say wOod-it! We work hard to serve our customers the best way as possible so we know you have the leading role. Please, feel free to contact us in case you need more information, a personal advice or in case the product has not satisfied you. We are always looking to improve and the best way to do it is listening to our customers. Enjoy-it by adding to your cart!